Successful, profitable businesses share certain characteristics: immediately recognizable brands, desirable products or services, and a strategic plan which minimizes legal risks. 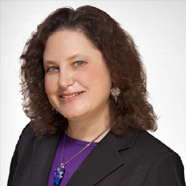 Amy B. Goldsmith is a Partner in the Intellectual Property Practice Group at Tarter Krinsky & Drogin LLP. She provides practical legal advice and connections to grow clients’ businesses. Ms. Goldsmith will advise you whether your new brand is available in the US and globally, if patents should be a part of your strategy, and if your design team’s new product shares too many features of the competition’s copyrighted bestseller. She’ll design contracts that make sense. If a dispute is on the horizon, she’ll be by your side until a fair resolution is reached. Ms. Goldsmith protects the global interests of national and international clients in a variety of industries, including pet products, fashion, financial services, marketing automation, publishing, medical devices, and consumer and designer goods. Ms. Goldsmith is a director of the New York Women’s Bar Association, a member of the New York City and American Bar associations and she is on the Board of Directors of Savvy Ladies, a non-profit whose mission is to educate women to be financially savvy. She is a frequent lecturer on intellectual property topics for Lawline and the author of several intellectual property articles for Tableware Today.